The Pentagon is considering plans to send heavily armed, versatile Marine Corps task forces to East Asia, curtailing some deployments in the Middle East as it repositions forces in response to growing Chinese influence. In a related step, the Marine Corps next month will expand the number of Marines who serve in rotating training assignments in Darwin, Australia, military officials said. About 1,250 Marines now deploy in Darwin for six months each year; the number will increase by an unspecified amount in March, officials said. 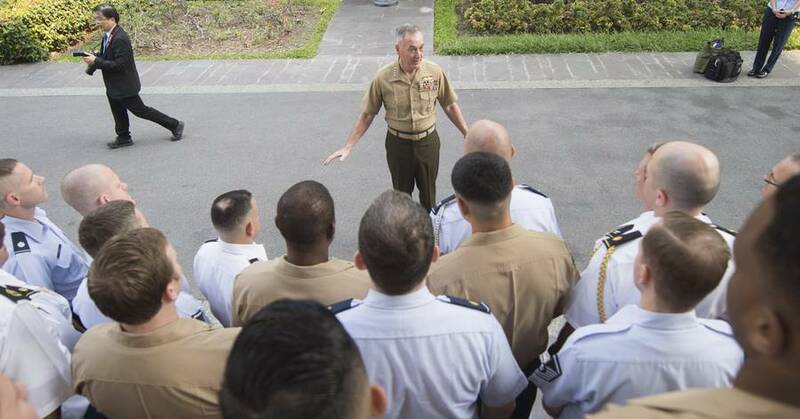 Over the past week, Gen. Dunford visited Australia, which faces its own strategic challenges with China, and toured the training base for U.S. Marines in Darwin. He also visited Thailand, now rebuilding ties to the U.S. after strains that followed a 2014 military coup.